Comments: Evergreen broadleaf tree native to coastal California. 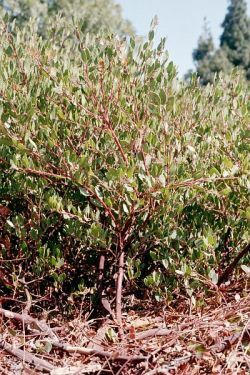 Manzanita is low growing with distinctive red stems, waxy green leaves and small white flowers. The dark purple berry of this plant is edible. It is part of California's chaparral plant community. The plant is drought tolerant.